Do you need a new pair of glasses? Coastal.com is currently offering a FREE pair to new customers when you use code FIRSTPAIRFREE at checkout! You can choose from almost 600 different styles! They also have a fun feature where you can upload a picture of yourself to virtually try on the different frames. Shipping averages about $13 and if you need special lenses, you’ll have to pay a bit more, but this is still way cheaper than buying them from the doctor’s office. 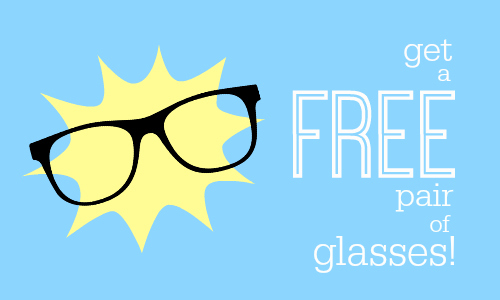 Plus, if you receive your frames and they don’t fit, return shipping is FREE! I know several people who have used this site to receive their free pair and they are really satisfied and love their frames.